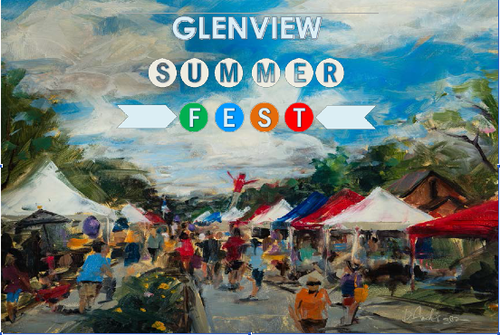 Featuring live music, cold beer, great sales, and fun activities, Glenview’s annual Summer Fest welcomes families and friends to Lehigh Avenue and Jackman Park in Glenview. The fun starts at 9:00 and runs to 3:30. Organized by Glenview’s Chamber of Commerce, the Fest showcases a range of regional businesses and civic organizations and offers something for everyone – from restaurants to antique cars. Crowd favorites include Hackney’s, Scandinavian Ski Shop and Katy Boldt Jewelry, as well as the Glenview Fire Department’s fire pole and special entertainment and kid friendly activities. You’ll also find balloons, crafts, and maybe even puppies. Thirsty fair-goers can also stop by this year’s beer tent offering craft beers selections along with great summer standards. Be there for the fun, the sun, and the shopping!